We've all had a pathetic moment in our running, an untied running shoe, a T-shirt on backwards, a blister, an injury, or an "only a runner would think this is funny" moment. David Johndrow is a collector of such artifacts. He is always willing to speak to your running club, at your local book store or race expo. 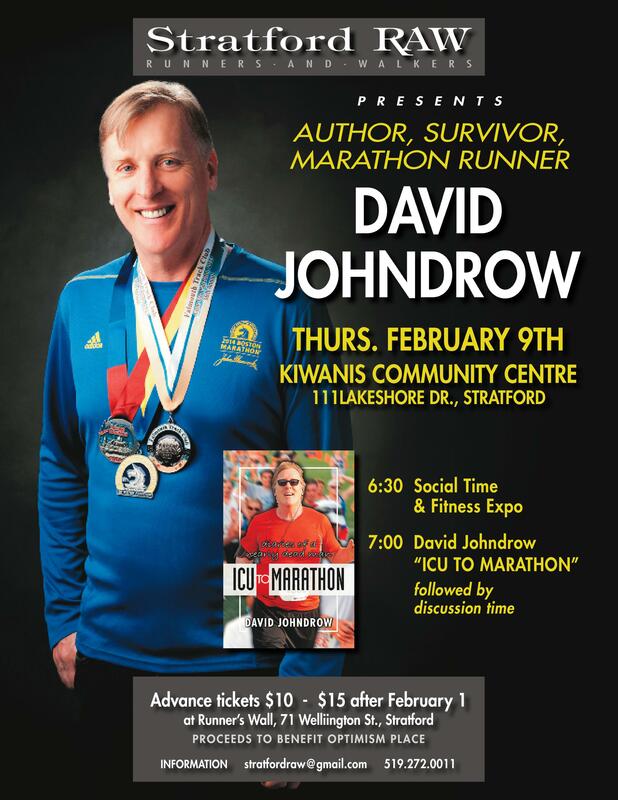 Don't miss David in Stratford, Ontario at the Kiwanis Center, on February 9th, at 6:30 pm. He'll be speaking for the Stratford Runners and Walkers club. David's first book: ICU to Marathon - Diaries of a nearly dead man, ended with the finish of his first full marathon; the Cape Cod Marathon. If you have read the book (if you weren't too cheap to purchase it), you know that the underlying theme of his marathon experience was to run Boston. At the time of publication, he had the application for 2014 in hand. It was pictured on the last page. 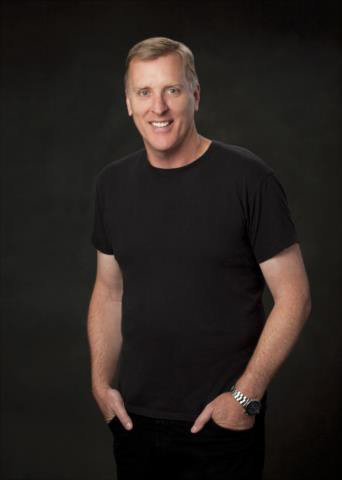 Just 2 weeks before running Cape Cod, Johndrow was diagnosed with prostate cancer. As marathon training progressed, the meetings with the urologist, a radiation oncologist, and a urological surgeon commenced. David even went to a Christian healing room. After training all winter (2013-14) for Boston, sometimes braving the sub-zero cold and 77" of snow accumulation. David fell on black ice, finding the perfect way to make his collarbone scream in pain! He kept on training. After all, it was Boston! In fact, he ran too much and sustained a calf injury after logging 180 miles in the month of February. Tentatively scheduled for a prostatectomy the week following Boston. David said, "I guess it is fairly lucrative business. The surgeon was booked weeks in advance and does 16 or more procedures a week! Robotic-assisted laparoscopic radical prostatectomy is surgery done pretty often, but the side effects are not a lot of fun. In fact, most men would say they are life changing." David joked with a friend about walking to Mass General Hospital right from the finish line. Mr. Johndrow shares his story, his humor, a few tall tails, and his passion for running, fitness, coffee and bacon. Onsite book and swag sales can help offset his low speaking fee. To book him, send your request icu2marathon (a) gmail.com. Already booked David? Download digital media, photos and copy for your marketing efforts HERE.